I used the title of the first book here because it's a fantastic description of what Juliet Grey does with her treatment of Marie Antoinette: her narrative truly becomes Antoinette. 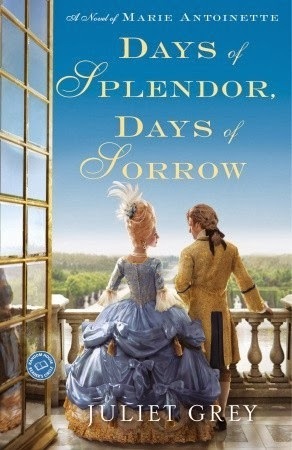 After the first book, which follows Antoinette from about age 11 through to when she was crowned queen, I didn't entirely feel a connection. I learned a whole lot of stuff I didn't know (how often do we get to read about her early childhood before moving to France? ), but I didn't feel like I truly knew her yet. 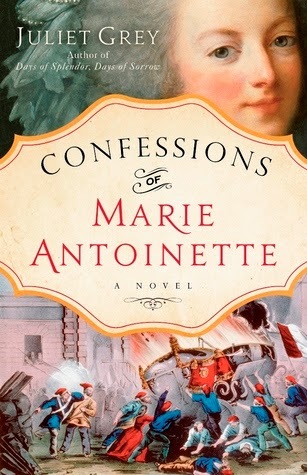 Then I read the second book Days of Splendor, Days of Sorrow (from when she's crowned queen to the Storming of the Bastille) quickly followed by the third Confessions of Marie Antoinette (from the beginning of the French Revolution to her death) and suddenly I knew her, and I loved her. 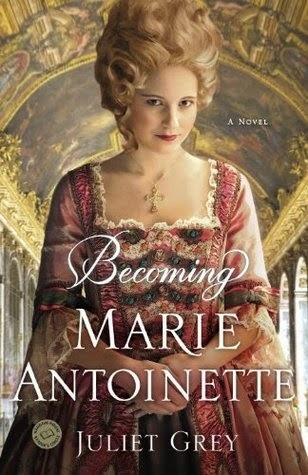 A large span of time is covered and Marie Antoinette grows considerably throughout the trilogy. 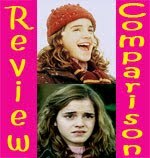 She changes from an innocent child raised in the relatively relaxed Austrian court, to a kind girl preyed upon and manipulated by the court vipers while dauphine, to a deeply lonely queen desperately seeking happiness, to a woman wise beyond her years and somehow, remarkably, still characterized by warmth and forgiveness. Marie Antoinette is not a woman like Cleopatra or Elizabeth I. She doesn't wield all that much power and so her direct mark on history is seemingly small (keyword, seemingly). Her greatness does not come from acts of political acumen or martial bravery. And maybe that's why I love her so much. She's just a woman, and the things she feels, the way she copes, and the hurts she bears strike a chord that make her total kindred spirit material. I may admire Cleopatra, but it's Marie Antoinette who'd get my sleepover party invite. cotton-headed spendtrift, coddled, oblivious and uncaring to the suffering of her people couldn't be further from the truth. Seriously. Every time I read about her I want to cry at the injustice of her reputation compared to who she actually was. I read historical fiction because I want to learn both about the people and the historical context that surrounds them. To that end, I cannot rave enough about Juliet Grey's trilogy. Where do I even begin? Well researched and filled with historical details, Juliet Grey's trilogy transported me so completely that I felt as if I were there living alongside Marie Antoinette. Everything was explored in great detail from fashion to hygiene, etiquette to tradition, food to political events, alliances, and scandals. But these facts weren't presented as dry, endless little details dropped in without context or purpose. Juliet Grey's presentation of Marie Antoinette's world built upon itself, connecting dots and underscoring how something as seemingly insignificant as a fashion choice could have widespread political ramifications, not just in the immediate, but decades later. Likewise, her intimate portrait of Antoinette as a person cast a human light on the revolution and the events leading up to it. In understanding Marie Antoinette's life—her personality, experiences, and relationships—I have a much clearer understanding of how the French Revolution came to pass. I was never bored while reading this series. Intrigued, delighted, saddened, excited, swooning, frustrated, enraged, and sobbing, yes, but never bored. But, I love Historical Fiction, complete with a bold, capital H. I don't want historical fiction lite. I want the details piled on high, just so long as I have a sympathetic, human lead to follow. Readers looking for historical fiction light on the details will probably be bored stiff. There are a TON of details. That said, young adult or adult readers looking to learn more about Marie Antoinette and the French Revolution who want lots of historical detail will LOVE Juliet Grey's trilogy. I adore this series. Juliet Grey is right up there with C. W. Gortner as among my top absolute favorite historical fiction authors. 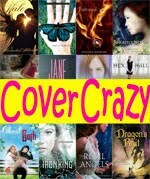 She's an autobuy author and I can't recommend this series enough. I've read a bunch of books about Marie Antoinette, but Juliet Grey's trilogy is by far the best, most intimate, alive, and accurate fictional portrayal (even better than Carolyn Meyer's The Bad Queen, which I love and made me sob, though it takes some historical liberties). 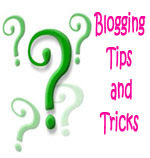 Do you have any questions about the Marie Antoinette series that I haven't addressed? You must read the first two books! You'll really get to see her character progression then and understand why she developed the way she did. I SO agree with what you said about the general perception of Marie Antoinette! She's the reason why I find the French Revolution so fascinating (and a little heartbreaking too). Going to add this to my reading list for next year. Yay! I love hearing you say that about Marie Antoinette! I think you will love this series then. Stopping over from Carole's Books You Loved. This is a subject I know nothing about although I love history. Thanks for a great post and introducing me to these books! I love historical fiction. You did a great job on this post. Oh, I LOVE learning about history through reading! Textbooks can be boring and depending on your history teacher, the history can potentially be made boring, too. But what I like is a well written, well researched recounting of historical figures to learn about who they were. I think I would be okay with the level of details. Marie Antoinette would be an interesting one to read about because the complexity of her story and the bad and completely untrue rap she received in her life (and ours...). Thank you so much for sharing this, Small!